It’s very important that you use the right battery for the type of application. Starting batteries and marine batteries should not be used for auxiliary (coach) battery applications. The battery used to start and run the engine is usually referred to as a chassis battery or starting battery. Vehicle starters require large starting currents for short periods of time. Starting batteries have a large number of thin plates to maximize the plate area exposed to the electrolyte. This is what provides the large amount of current in short bursts. Starting batteries are rated in Cold Cranking Amps or CCA. CCA is the number of amps the battery can deliver at 0 degrees F for 30 seconds and not drop below 7.2 volts. Starting batteries should not be used for deep cycle applications. The batteries used to supply 12-volts to the RV itself are commonly referred to as the house or coach batteries. House batteries need to be true deep cycle batteries designed to provide a steady amount of current over a long period of time. True deep cycle batteries have much thicker plates than a starting battery, and are designed to be deeply discharged and recharged (cycled) over and over again. These batteries are rated in Amp Hours and more recently Reserve Capacity. The amp hour rating is basically how many amps the battery can deliver for how many hours before the battery is discharged. Battery manufacturers specify the rated capacity of the battery in amp hours at a specific discharge rate. For example, if a lead acid battery is rated for 105 amp hours at a 20 hour rate it will deliver 5.25 amps for 20 hours at standard temperature conditions. This same battery would be rated at 89 amp hours at a 10 hour rate and deliver 8.9 amps for 10 hours. The basic formula used is Amp Hours divided by Hours = Amps. We can go one step further and look at the discharge time in minutes based on the discharge current. The same battery used in our example at a 40 amp discharge current would last approximately 83 minutes. At a 5 amp discharge current it would last for over 1200 minutes. The life expectancy of your RV batteries depends on you. How they’re used, how well they’re maintained, how they’re discharged, how they’re re-charged, and how they are stored all contribute to a batteries life span. A battery cycle is one complete discharge from 100% down to about 50% and then re-charged back to 100%. One important factor to battery life is how deep the battery is cycled or discharged each time. If the battery is discharged to 50 % it will last twice as long as it would if it’s cycled to 80%. The life expectancy also depends on how soon a discharged battery is recharged. The sooner it is recharged the better it is for battery life. What does all of this mean to you? That depends on how you use your RV. If most of your camping is done where you are plugged into an electrical source your main concern is just to properly maintain your deep cycle batteries. 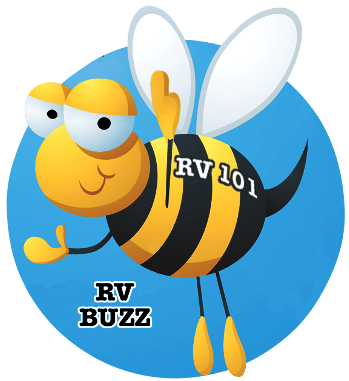 But if you really like to get away from it all and do some serious dry-camping you’ll want the highest amp hour capacities you can fit on your RV. Deep cycle batteries come in all different sizes. Some are designated by group size, like group 24, 27 and 31. Basically the larger the battery the more amp hours you get. Depending on your needs and the amount of space you have available there are several options when it comes to batteries. You can use one 12-volt 24 group deep cycle battery that provides 70 to 85 AH. You can use two 12-volt 24 group batteries wired in parallel that provides 140 to 170 AH. Parallel wiring increases amp hours but not voltage. If you have the room you can do what a lot of RVers do and switch from the standard 12 volt batteries to two of the larger 6-volt golf cart batteries. These pairs of 6-volt batteries need to be wired in series to produce the required 12-volts and they will provide 180 to 220 AH. Series wiring increases voltage but not amp hours. If this still doesn’t satisfy your requirements you can build larger battery banks using four 6-volt batteries wired in series / parallel that will give you 12-volts and double your AH capacity. 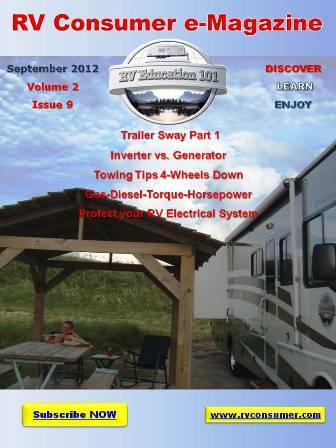 To learn more about deep cycle RV batteries check out our Deep Cycle battery DVD, E-book or instant donwload video.